Order within for delivery on Thursday 25th April. Select Courier 'UK Next Working Day Delivery' at checkout. New from Debona comes this stunning Chantilly geometric shape wallpaper which is a welcome addition to any room interior. Choose this wallpaper to brighten up any room and add a welcome modern twist on any room interior. 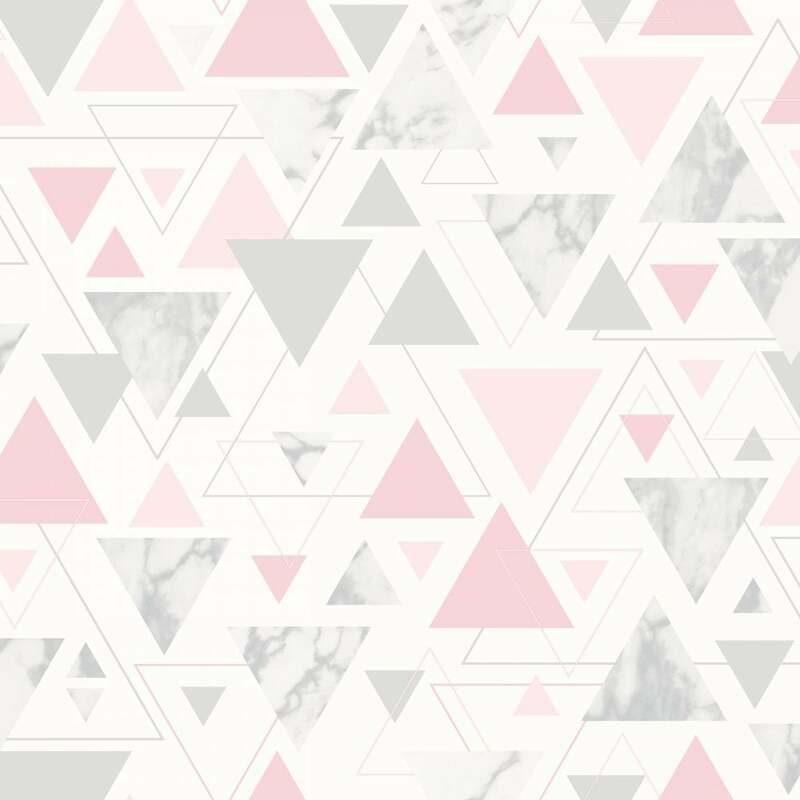 The Chantilly wallpaper features different colour and size triangles and marble. Here at i want wallpaper we are committed to delivering your order to you fast and without charge. All UK orders over £40.00 are eligible for FREE UK DELIVERY within 2-5 working days, NEXT WORKING DAY DELIVERY is available, and those orders are dispatched the same day, if placed before 2 PM, subject to stock availability. In addition, all orders of £60 or more (after discount) qualify for FREE UK NEXT WORKING DAY DELIVERY. If you would like this service, please select the option at checkout, where the next day delivery charge will be deducted from your bill. Again, only orders placed before 2 PM can be guaranteed to be shipped the same day and are subject to stock availability. Next day delivery will be on the next working day; therefore orders placed before 2 PM on a Friday will be delivered on Monday.Orders placed after 2 pm on Friday will be dispatched on Monday for delivery on Tuesday. i want wallpaper ship to most countries in the European Union, as well as to the USA and Australia. Please contact us for further details regarding international shipments. We do accept returns, if you’ve ordered too many rolls, or even simply don’t like the wallpaper, you’re fine to return it to us at your expense within 3 months of purchase. However, any returned items MUST be returned unopened and unused, this includes murals, rolls, and decor. I'm afraid we do not accept samples back for refund. Any items returned to us in a used condition will not be refunded and will only be returned to you at your cost. If you wish to return any goods to us you must inform us in writing (letter, email or fax) within 3 months from the day after delivery of those items. The date of delivery will be as recorded by our carriers. If you believe there is a fault with your order please contact us. We will require evidence of any faults, this may mean the item needs to be returned to us. Please email sales@iwantwallpaper.co.uk if you wish to return your goods for a refund or exchange stating the reason for return so we can approve your return request and provide you with our returns instructions.